I needed a break from the computer yesterday and did a quick DIY project in my guest room. 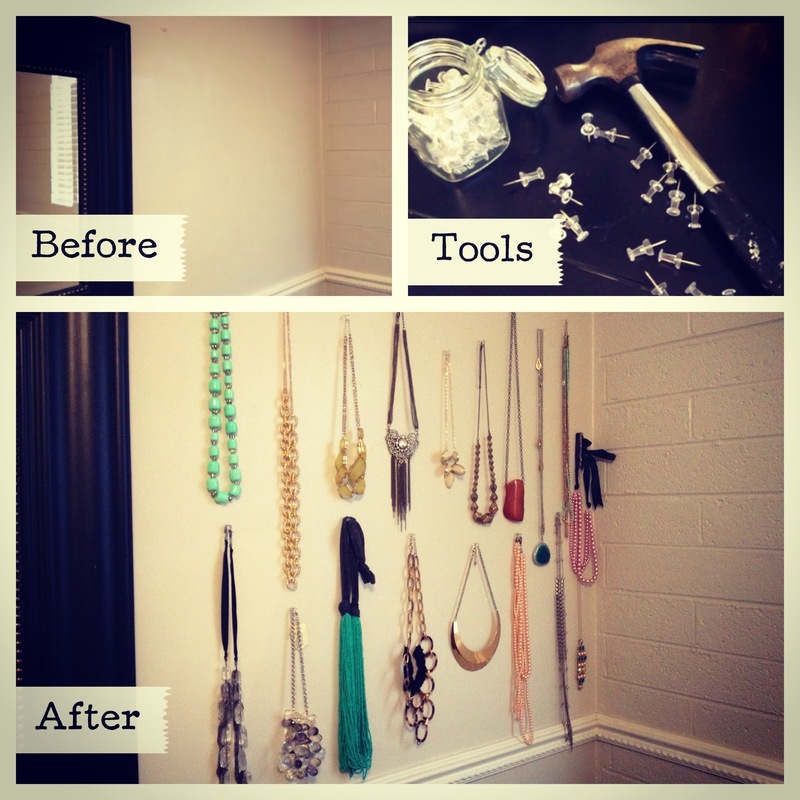 I often forget the jewelry that I have because it is always tucked away in a drawer, so with just a hammer and some clear push pins I created a necklace display on the wall. This is going to make life easier when getting dressed. Lifestyle Blogger. DIY addict. Gluten Free Baker.